Time for another Sheona hack and today I’m going to show you how to play with different colors, aka how to color block it. This hack is very very easy to do and I love how many possibilities it offers. For my version I chose 3 colors: white, navy and black, but you can obviously use as many as you like. 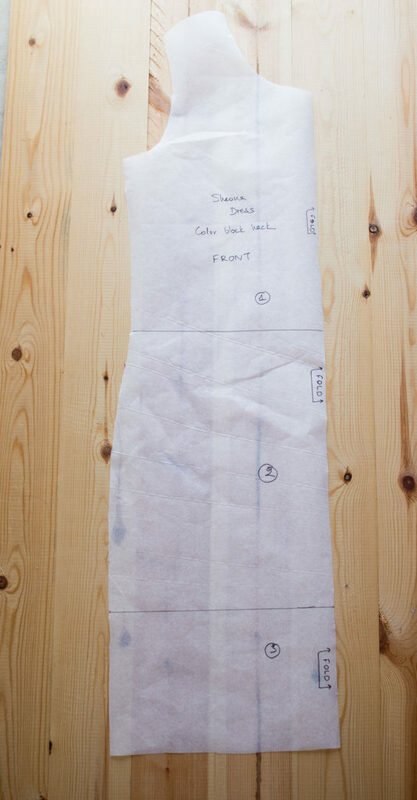 The first thing I want you to do is to trace both the front and the back pattern pieces for your dress on a new piece of paper. Make sure you transfer all notches and markings, too. Next, you are going to decide how many colors you are going to use, because we are going to divide the pattern pieces into that many parts. As I already told you, I chose to use 3 colors so here’s what I did: I held the front pattern piece in front of me and decided where I wanted each color to start and stop. I wanted the upper part -the white color- to stop around my natural waist. So I put a mark at that point. For the next two colors -the navy and the black- I eyeballed it. I wanted the black to resemble a border at the hem pf the dress so I decided to make it narrower than the navy, so I marked the point accordingly. Then, using my straight ruler I drew lines perpendicular to the center fold, right at the points I marked. Do the same for your blocks and don’t forget to mark each one with a number to not get confused later on. Repeat the process for the back pattern piece as follows: place it on top of the front pattern piece, match the underarms and trace the lines you drew on the front pattern piece. 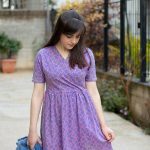 It is very important to do this carefully and as precise as you can, as you want the color blocks to match at the side seams when you will sew the dress together. Cut out the new pattern pieces. 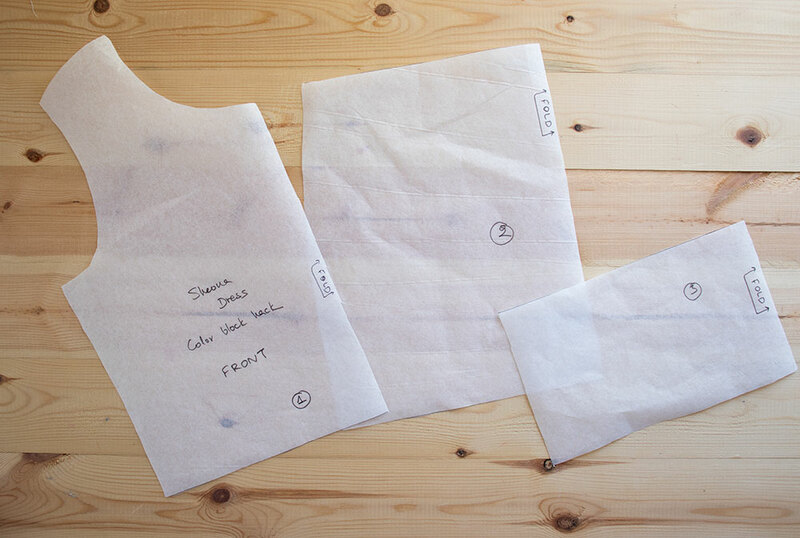 The next task is adding seam allowances, because we are going to attach the pieces together and essentially create a new front dress and a new back dress. 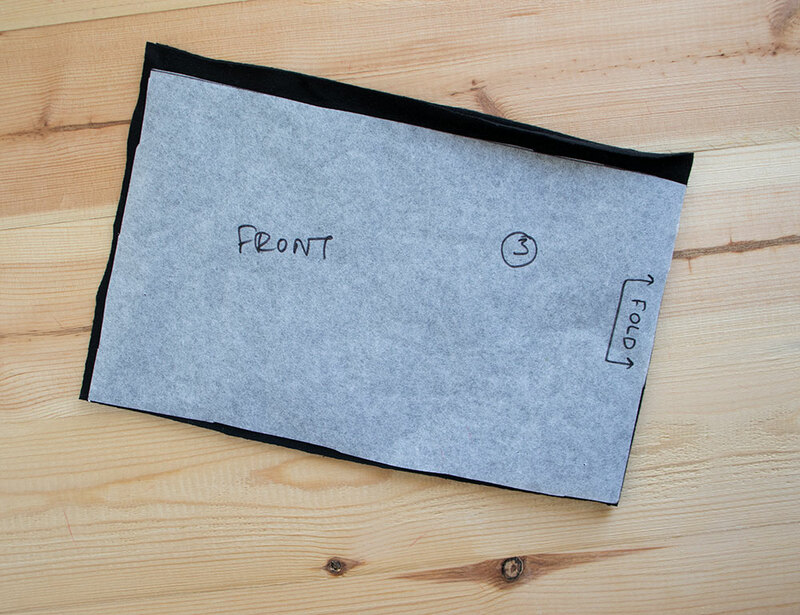 But to avoid having to stick paper and draw the seam allowances, I did something else. 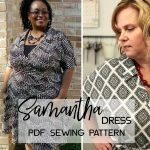 I added the seam allowance directly on my fabrics before cutting them out and I’ll show you how. So, for the top block, you need to add a seam allowance of 1 cm (3/8″) at the bottom. Position the pattern piece on your fabric on the fold, pin it in place and then mark a couple of dots on the bottom side, 1 cm from the edge. Use a marking tool (I used my air erasable pen) and a straight ruler and connect those dots, creating a new line. 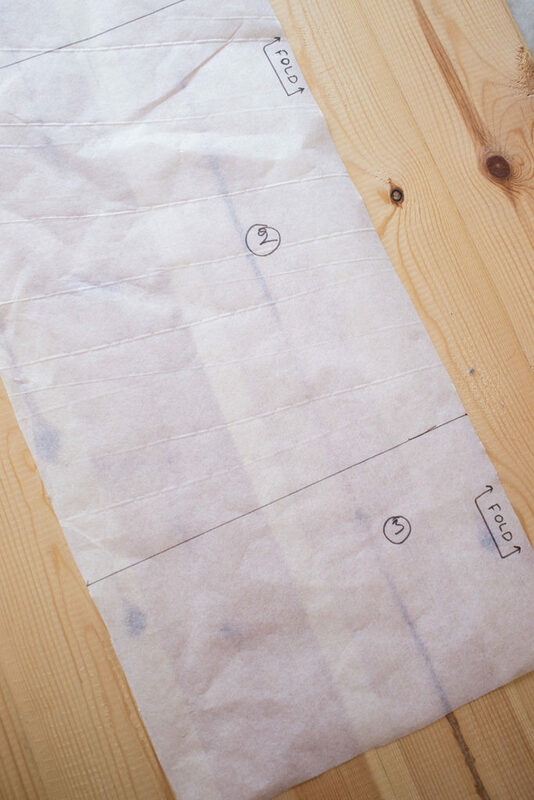 Extend the side seam and center fold seam by 1 cm as well and cut out the piece. 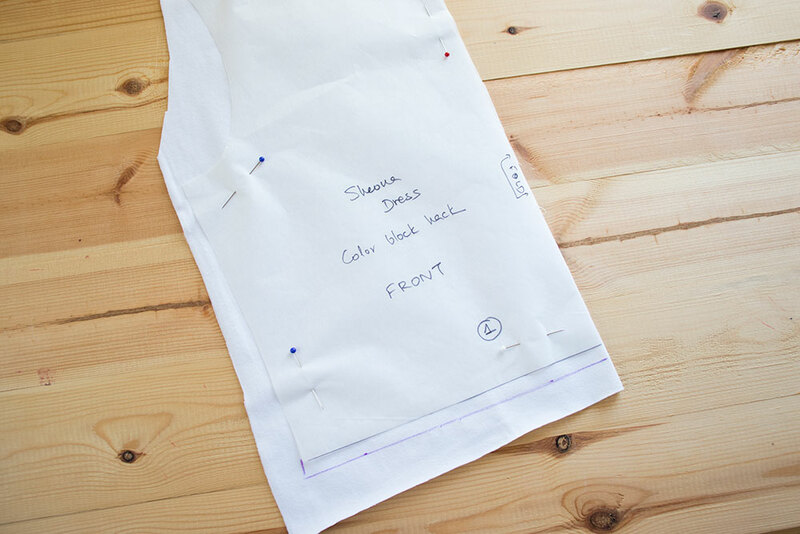 You will need to do the same for the other pieces by adding 1 cm (3/8″) seam allowance to all the sides that will be connected. More specifically, for the second block (in my case the navy color), you will have to add seam allowance to both the top and the bottom side. 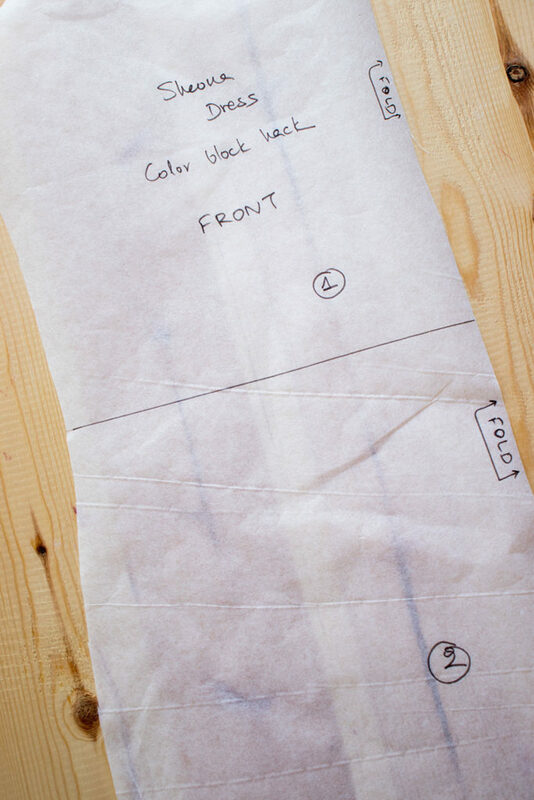 For the third block (the black one in my dress) , you will have to add 1 cm seam allowance only at the top side. You will repeat the same process for the pieces of the front dress and the back dress. Again, try to be as precise as possible. Once you’ve cut out all the pieces, it’s time to sew them together. This is very easy. We will start with the front dress pieces. Take the top block and place it on top of the middle block and pin them right sides together (you are pinning the sides that will be attached, i.e. the bottom side of the top block and the top side of the middle block). 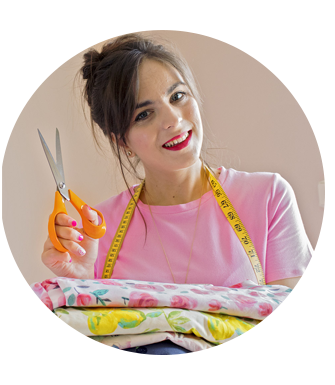 Stitch using either your overlocker or a zigzag stitch on your sewing machine. 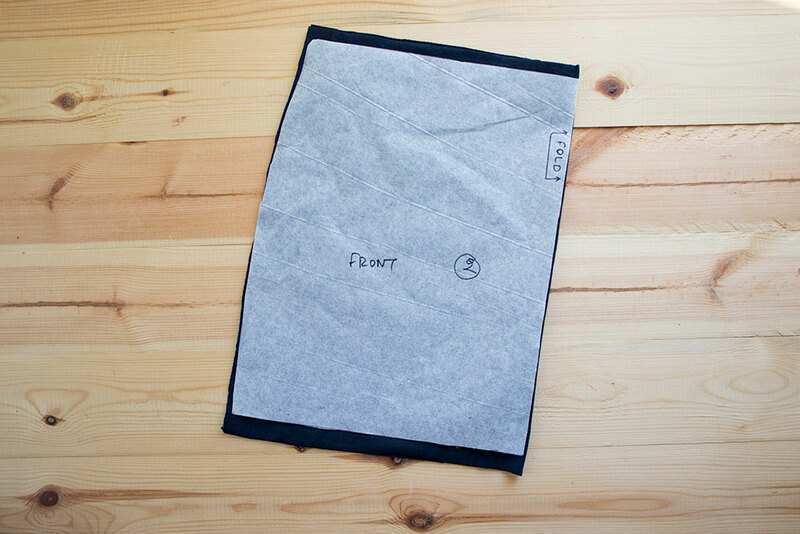 Press the seam allowance towards the middle block. Then do the same for the bottom block. Give everything a good press. Repeat the same process for the back dress pieces. Now you essentially have a new front dress piece and a new back dress piece. The rest of the construction is exactly the same, as if you where making a plain Sheona dress. So follow the instructions in your booklet to make it. 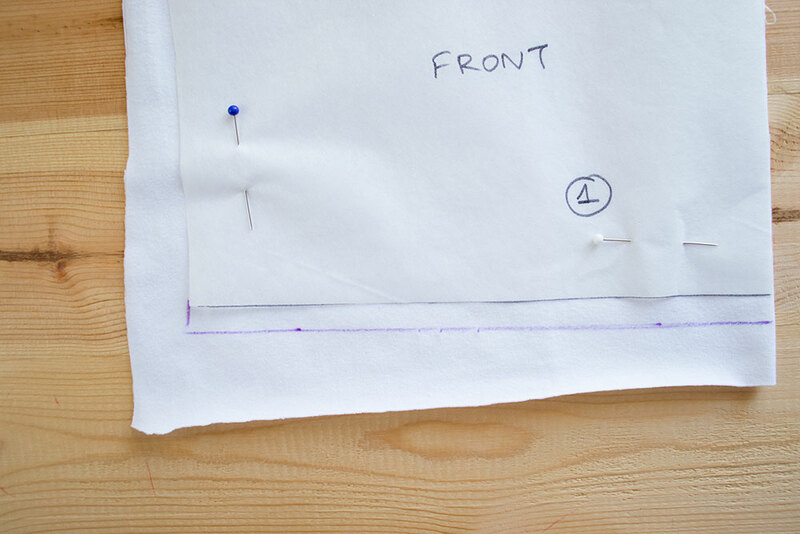 When you reach the step where you stitch the side seams, be careful to match the seams where the blocks are connected in order for your dress to look beautiful from the sides. And that’s it! I told you it was easy 🙂 I already wore mine once and styled it with one of my favorite cardigans and my ankle boots. I hope you enjoyed seeing this hack. The fabrics I used are from Girl Charlee. More specifically, they are all from their cotton spandex range, which comes in many many colors and I highly recommend. 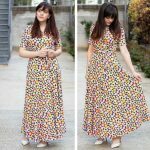 If you are looking for any kind of knit fabric, I’m sure they’ll have it, so make sure you visit their website to check out their beautiful selection. 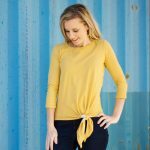 See how to add cuffs to your Sheona top HERE.